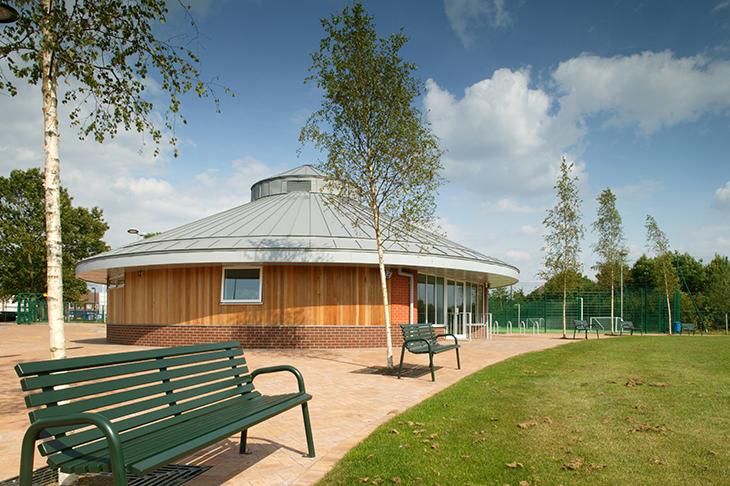 The design and construction of the Sports Pavilion was part of a land purchase agreement between Solihull Metropolitan Borough Council and Barratt Homes Mercia who appointed Nicol Thomas. 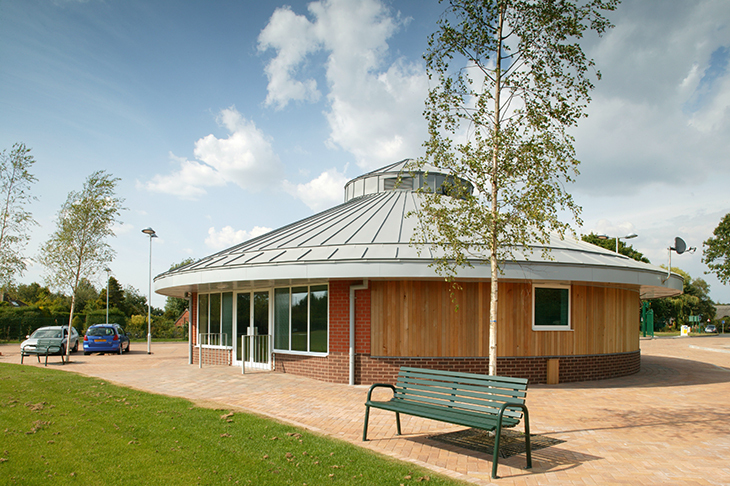 The completion of the pavilion triggered the release of the adjacent residential development and provided a long awaited facility for the local community. The curved elliptical pavilion has external walls finished with vertical cedar cladding over a brick plinth. 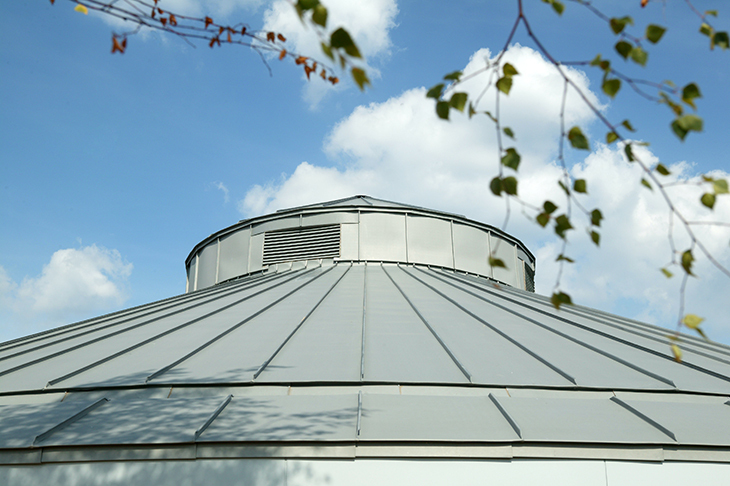 The curved nature of the building is emphasised by the form of the roof which is finished with standing seam zinc sheet and includes a feature ‘’lantern’’ at ridge level. 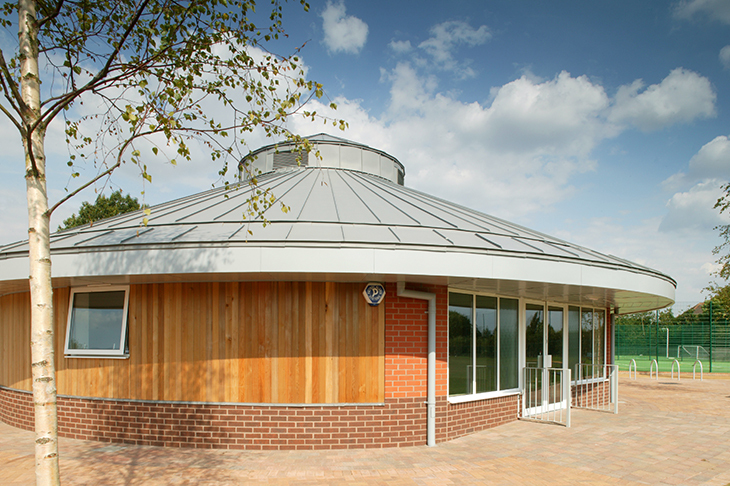 The pavilion enhances the playing field setting and provides a function room, kitchen, official’s office and changing rooms plus team changing and shower facilities.